People are becoming more and more aware that the bees on the planet are in trouble. Honeybees in particular are dying off at an alarming rate. Thankfully many people want to help, and some might be considering getting a few hives of their own. But how do you start beekeeping? There are many things to consider if you’d like to become a beekeeper. You’ll want to be clear on your reasons for keeping bees and any goals and expectations you have going in. You’ll need to examine the physical space you have available for the hives and determine what equipment you’ll need. As a novice beekeeper, you will definitely need support, not only from family and nearby neighbors but professionals who can guide your efforts. Finally, anyone who wants to start beekeeping needs to understand the commitment involved. We will discuss all these topics in detail in this article. 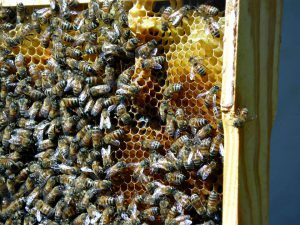 Why Do You Want to Start Beekeeping? Beekeeping can be very rewarding, even as a hobbyist, but it is not an activity to be entered into lightly. When considering becoming a beekeeper, it is important to examine your reasons and goals to be sure they are sound and realistic for your situation. Even small scale beekeeping requires time, money, and energy. If your primary motivation is to help save the bees, is that motivation strong enough to carry you through? If you are new to beekeeping, there will be a lot to learn. There will be money to invest in your hive, equipment, and getting the bees themselves. And there will be difficulties to face. Are you up for these challenges? If so, you will be greatly rewarded if you start beekeeping. Besides knowing you are making a positive difference for our planet and its pollinators, you will be able to harvest your own honey and some beeswax. Won’t your friends be impressed when you offer them some honey produced by your very own bees? You bet they will! If you’re going to start keeping bees, obviously you need to have the proper space for your hives. Ideally you will want to keep your beehives some distance from the busiest areas of your yard. This will allow your bees to remain undisturbed by human activity. It will also make most visitors to your yard a lot more comfortable! You will also want to be considerate of your neighbors. Bees are coming and going constantly during warm weather, and most people will not appreciate having your honeybees buzzing by them every time they try to enjoy their own backyard. Be especially mindful if there are small children, pets, or elderly residents in the next yard who might suffer ill effects from bee stings. If you’re planning to start beekeeping in your yard, the best thing is to talk to your neighbors openly about your plans. Help them understand the importance of what you’re doing. Assure them of the precautions you will take to ensure no one will be bothered or harmed by your bees. Let them ask questions and be open to their concerns. Open communication will help ensure no one will complain about or try to make you get rid of your hives after you’ve already invested in them. Another thing to consider is whether your space has adequate sun and shade for your beehives. Depending on the climate, your bees may require a lot of direct sun for the warmth (in colder locations) or may need to be partially shaded (in hotter climates). Keep in mind that the trajectory and intensity of the sun will change throughout the year, so be prepared in advance to move your hives back into the sun or shade as necessary. Finally, while it’s not a requirement to start beekeeping, providing bee-friendly flowers and plants as well as a water source will go a long way in supporting your bees. You can click here to find some ideas for creating a bee-friendly habitat. The more bee-friendly your space, the more success you will have when you start beekeeping. You will also need to acquire a colony of bees. While honeybees can be lured to your hive box naturally, this is a hit or miss method that may not prove successful. You can purchase your bees from an apiarist, or you might reach out to a bee removal service to see if they offer to relocate honeybees into hive boxes. Honeybees are protected from extermination in many areas, so removal companies need relocation options. 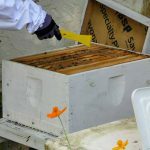 You might be able to populate your hive box for a minimal fee or even for free through this method. You might also want to invest in at least one good resource book about beekeeping. Although there’s plenty of information to be found online, having a hand-held reference can be an invaluable if you have questions or run into trouble while inspecting your hives. Look for a book with large, clear pictures that can assist you quickly when you’re working with your bees. If you want to start beekeeping, it’s best to line up support before diving in. Since beekeeping requires time, money, and space in your yard, you will definitely want to have the support of your family before you begin. And, as mentioned earlier, you’ll also want to do your best to get your neighbors on board if their yards are in close proximity to yours. Even if no one else shares your enthusiasm for beekeeping, you at least want to be sure no one is going to actively oppose your new hobby once you get going with it. Once you have the support of family and neighbors, you’ll also want to seek out “professional” support from other beekeepers. 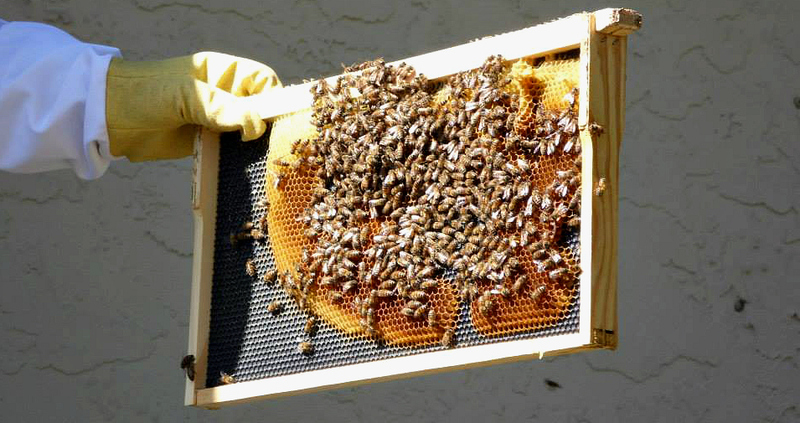 Most areas have Beekeeping Associations that hold informational meetings once or twice a month. There may be a membership fee required to join your local association, but these are usually minimal and well worth the cost for the information and support one receives in return. If you don’t want to join an association, you can look for informal beekeeping groups in your area. You can search for a group online through meetup.com, or you might inquire at your local library or beekeeping supply outlet. Backyard beekeepers tend to be a friendly, supportive bunch who want the best for the environment and their bees. So don’t be surprised if you find your life buzzing with new human friends once you’ve brought home your bee friends! Becoming a backyard beekeeper in order to help save the bees is a noble thing. There is no doubt that hobbyist beekeepers are beginning to play a vital role in the support and preservation of our planet’s pollinators. But before you start beekeeping, be sure you are okay with the commitment involved. Once you take on a hive, you take on a responsibility. The bees you bring to your yard will be looking to you to look out for them. Sure, they do most of their work on their own, and they won’t acknowledge your contributions like a dog or cat might. But they definitely will need you. There will be predators to ward off. There will be weather and seasonal changes to deal with and a bee-friendly environment to maintain. The colony may even need you to provide them with a new queen if something happens to the one they have. Although bees may not require daily care, they will require active monitoring and regular inspection. A diligent beekeeper will be a successful beekeeper. Be sure you are committed to being successful before you start beekeeping. It’s the best way to ensure that you and your bees will be happy. There’s no doubt that the bees need enthusiastic keepers more than ever. If you start beekeeping, you will be directly supporting a colony of bees, but you will, in truth, be helping our entire planet. And while beekeeping does require commitment of time and resource, the rewards are, literally, very sweet. Do you have a story about how you started beekeeping? If so, we’d love to hear from you! Please leave your comments or questions below. I’ve always wanted to keep bees but never got around to it. now I don’t have the space since downsizing. I think it would be a fabulous hobby and this post is a lovely resource. Hopefully you will convince people to take it up. Thanks for your kind comments, Lawrence. Beekeeping is a rewarding hobby, and I do hope I can inspire others who are inclined to give it a go. Best regards! I am a beginner beekeeper. We have made a lot of mistakes so far. One of them, was not recognizing a swarm was about to happen, which did several times. How can you prevent that? You are right about the support. Our local beekeepers’ association has been a huge help. We lost all three hives this year as we have had a longer than usual winter and lots of snow. We just rehived 2 of them, so fingers crossed! Thanks for sharing your experiences, Erin. We lost one of our first colonies when they swarmed as well. We had no idea what was happening! I’ve heard of different tactics beekeepers use so as not to lose their bees, and I will definitely be covering this topic in a future article, so stay tuned. I’m glad you’ve found support through your local beekeepers association. We need to hook up with ours now that we’ve relocated to TN. We’ll have a lot to learn about how to keep bees here as opposed to Florida. How exciting that you’ve got two of your hives going again. I’m so looking forward to doing the same…we just have to finish our own hive (cabin) first. Best of luck with your beekeeping! Many people are afraid of bees, Max, which is unfortunate. Most bees, especially honeybees, only become aggressive when provoked. To date I’ve only been stung once while keeping bees, but I approach them with knowledge and a very healthy dose of respect! Beekeeping is definitely not for everyone, but everyone can do a little bit to help the bees. Thanks for visiting! Awesome post! I try to support the local beekeepers and honey producers because I just love the subtle taste differences from different areas. I am not quite ready to keep my own bees, but I do have a question or two. Do you always get honey? And is the beeswax ready to go for projects? If you have a small yard can you still keep bees? It’s great you support your local beekeepers, Irma. The taste differences in regional honey can be quite a joy to discover. To briefly answer your questions: 1. You can nearly always harvest honey from a healthy hive, but there might be conditions or circumstances that interfere. 2. Beeswax is created from the caps the bees put over the honeycomb cells to keep in the honey, and it requires a bit of work to extract so, no, it isn’t ready to go for projects straight from the hive. 3. Absolutely you can keep bees in a small yard! I’ve even seen photos of single hives kept on urban apartment balconies or on small condo patios. It seems if there’s a will to keep bees, most will find a way! If you have more questions, let me know. Thanks so much for stopping by! It’s really sad that bees are disappearing, we really need them. Thank you for sharing this article to in inspire people to become beekeepers. I agree, Carmen, it is sad and scary as well. We humans cannot survive without the pollinators. I surely want to encourage people to keep bees, but really, everyone can help in some way. That’s the message I most hope to spread. Thank you so much for visiting! Wow this is such a comprehensive article! I would have loved to keep my own bees if I have the space, but unfortunately no, I live in the city, in an apartment. So I can only buy raw honey from the supermarket, and it is a staple in our diet, we use it for lots of stuff. Even in our DIY body wash! Thank you for all the interesting information here! Thank you, Joo. I’m so glad you like the article. The topic is surely near and dear to my heart! I hope one day you might have the space to keep some bees yourself if that’s what you’d like. Bees can definitely bee kept in an urban environment, but I’m not sure many apartment landlords would approve, unfortunately. It’s awesome that you do what you can, though, and make good use of the raw honey you purchase. It’s so nutritious and has lots of great uses. I’ll be covering those topics in future articles. 🙂 Thanks so much for stopping by, and I hope you’ll visit again. This is a very interesting article. I have never thought about bee keeping, but I can see from your article that it is an important job to do. Thank you for the info! I’m glad you found the article interesting, Ruth. Thank you for stopping by! I go to UC Santa Cruz and I may live off campus next year. My friend in Southern California is an Africanized Bee remover. Consequently, he has a lot of bees. He actually offered me some for free if I want to get my own garden going if I end up living off campus. After reading your article though, I think that would be too much to take on at this point in my life. I do have a question though. What would you recommend I do to find other bee keepers to answer more of my questions? Where can I find them? I found your article helpful, but I would enjoy talking to someone in person about this. I look forward to hearing your answer. Thanks for stopping by, Alex. It’s great that you’re interested in learning more about bees and beekeeping even if this isn’t the ideal time for you to become a beekeeper yourself. 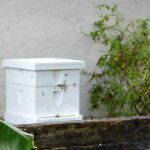 As for getting local, in-person answers, you’ve got a great resource at your fingertips, The Santa Cruz Beekeepers Guild: http://www.santacruzbees.com/ I’ve found groups like this to be filled with friendly people eager to share their knowledge and love of bees. Best of luck to you with your studies, and I hope one day you’ll get to give beekeeping a try if that’s what you desire.